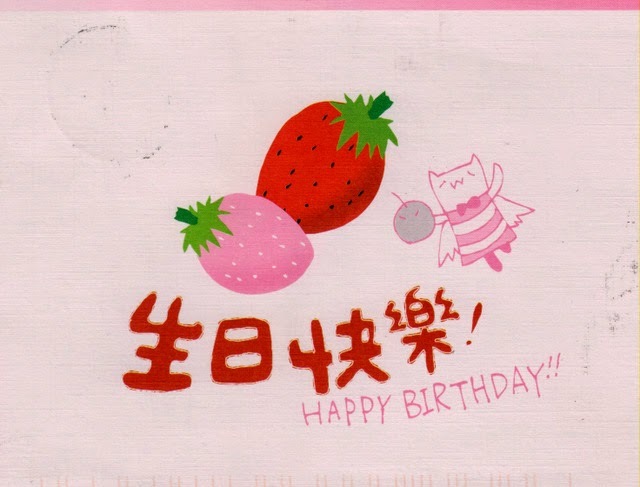 Postcard TW-1236766 from Taiwan shows "Happy Birthday" both in English and in Chinese with a sweet strawberry theme. I am re-sending this card to anyone who is having her/his birthday today. Also, today marks the 6th anniversary of Wenchuan Earthquake, measured at 8.0 Ms and occurred at 02:28:01 PM Beijing Time on Monday, May 12, 2008 in Sichuan province, China. It killed 69,195 people and left 18,392 missing. About 100 kids, who were born over the three months following the earthquake in a thousand-year-old temple, have gathered to celebrate their fifth birthday in Shifang City, Sichuan Province.